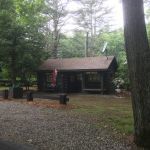 Ask fellow campers about "Hopeville Pond State Park" and nearby attractions. I have to disagree with much of what the previous poster said. We have stayed here in 2017 (twice) and 2018 (two weeks) in our 35' class A. We love Hopeville! 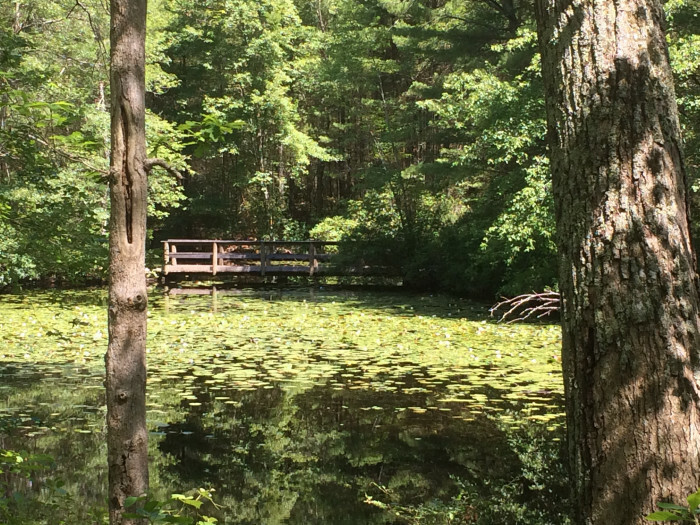 Beautiful wooded park with a large pond suitable for kayaking and fishing. Not sure if gas motors are allowed. We kayaked several times. 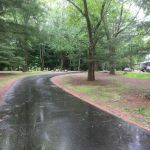 Also biked out from the park and, while those eastern CT back roads offer no painted shoulder, the traffic was minimal and drivers were cautious. But, back to the campground. 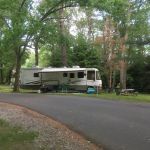 There are so many large, level sites that are perfect for motorhomes and trailers. They don't allow anything larger than 35', so ours was as large as they allow. Most sites do NOT have any hookups, so you're boondocking. But, this past sprint they installed water and electricity on about a half dozen sites. Our only issue was that they did not grade the sites very well after installing the hookups. We observed the following: B1 and B3 looked nicely leveled, but were pretty open with B3 in particular being right in front of the restroom with the path running along side the site. Not our cup of tea, but others might be ok with it. B5 was a wide site, but there was a low spot right next to the electric hookups which was one big puddle (there was a lot of rain when we were there), which is obviously where others rigs have parked. B7, our site, is very large, but again the only level place to park was right next to the hookups, and again, it was all mud because it's lower than the rest of the site. We had to park on the hill and use our levelers. Our friend in B9 had a heck of a time finding a level place to park her 28' class c because the fire ring was smack in the middle of the only level spot. Despite this, we love the beauty of this park and will return. 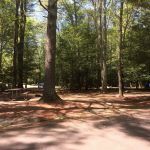 I've sent our observations to park management, so maybe they'll regrade the sites, or at least keep grade in mind when they add services in the future. Boondock sites = $17, hookup sites = $27. 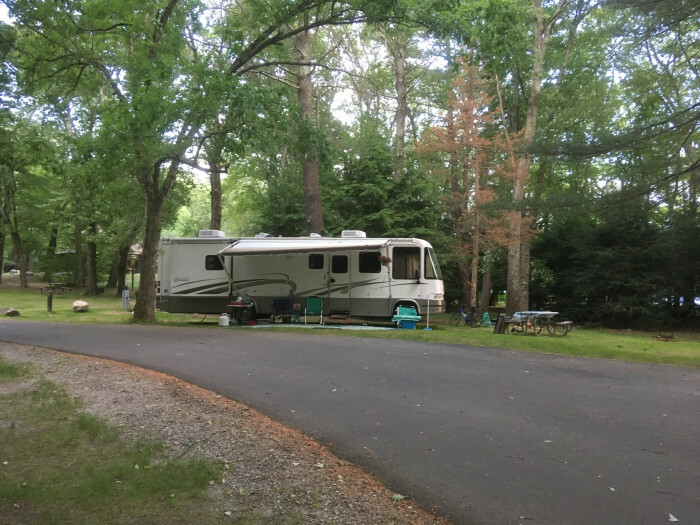 We camped at Hopeville Pond State Park in a Motorhome. Local grocery is Better Val-U. Walmart, Target & movies nearby also. Jewett City is an old textile mill town w/ two pharmacies, 3 or 4 restaurants, a little old fashioned hardware store. HiWay Camper about 15 minutes away in Plainfield; RV parts store. Backus Hospital satellite ER in Plainfield. Green Onion Pizza in Jewett City is very good! This is really a tenting campground. Very wooded and shady. Although most of the sites are large (surprisingly so) and level (I didn't need any levelers), there are lots of trees and many boulders that block access, or at least make it very difficult, to have a travel trailer or camper here. A smaller Class C might do well here. Out of all the sites, realistically only about six or so are suitable for a travel trailer - campground map does not highlight this. No hookups, and water is not easily available to fill freshwater tank. Bathrooms and showers were "state park clean" - a basic cleaning daily and very usable. If you are tenting and want a surprising amount of privacy, Loop F is the place to be. 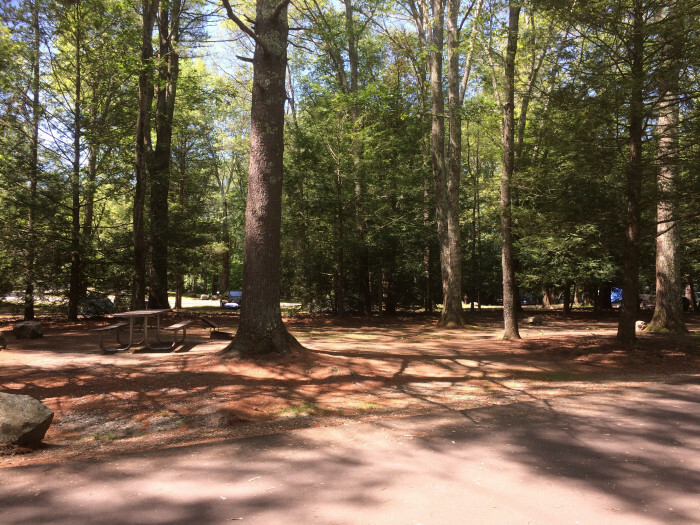 Large tent sites surrounded by heavy woods. Many sites are near the pond swimming area which is set up nicely, the other sites are not too far away (easy walk). Dump site is odd - very narrow, with a speed bump (??) at the end of it. I guess people were speeding through the dump site? 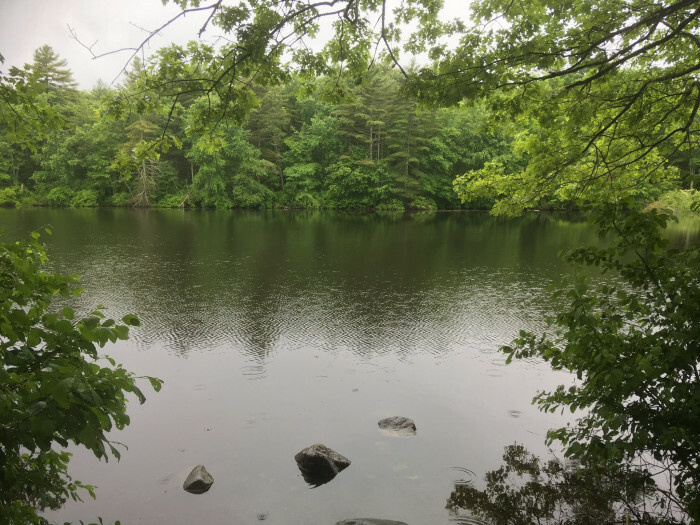 This State Park borders Pachaug State Forest, which has tons of hiking trails available - one forest trail actually comes into Hopeville Pond State Park. 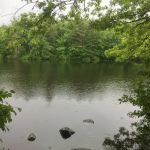 Important note about hiking Pachaug State Forest - a lot of the hiking trails are very poorly marked, it is easy to get turned around once you get off the dirt roads. Overall, I am not sure how to rate Hopeville Pond. I only gave it a "7", as it is not RV friendly, but it is a very nice state park! 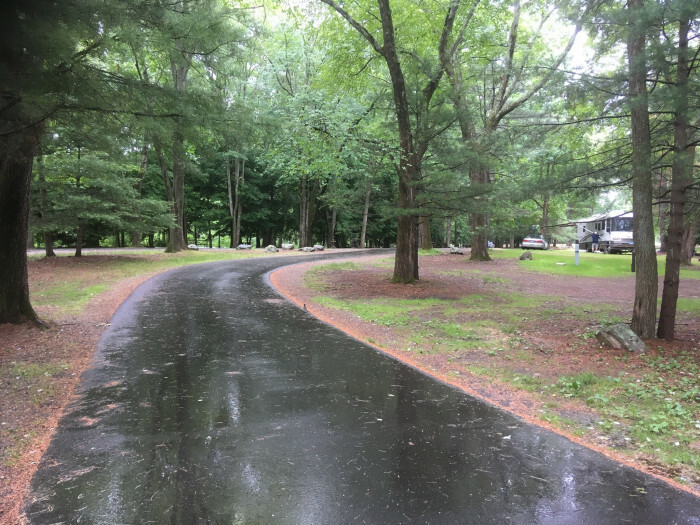 We camped at Hopeville Pond State Park in a Travel Trailer. 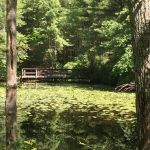 Are you affiliated with Hopeville Pond State Park ?